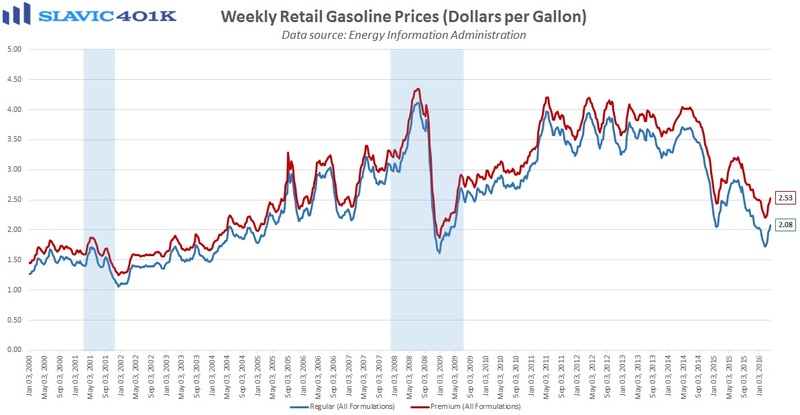 The latest data from the Energy Information Administration (EIA) showed that the national average cost for Regular gasoline lifted by two cents to $2.08 per gallon last week, the seventh sequential increase following the nearly 7-year low of $1.72 per gallon hit in February. Regionally, the cheapest gas in the country can be found in Oklahoma, where a gallon of Regular costs just $1.78 on average. Residents of California again have to pay the most in the continental U.S. for Regular at $2.79 per gallon, with Santa Barbara also being the city with the nation’s highest average gas price ($2.90 per gallon). This sharp rebound at the pump is not too surprising since oil prices have also risen markedly over the past month. Crude costs, though, are still relatively close to decade lows and many analysts believe that the recent uptrend will be short-lived. In fact, hedge funds' combined net long position in Brent and West Texas Intermediate (WTI) dipped by 23 million barrels last week, the first decline since February. Further, hedge funds during this same period increased their short positions in WTI by a combined 11 million barrels, the first increase in eight weeks. If the speculators are correct, then consumers can expect even better savings at the pump in the near future. 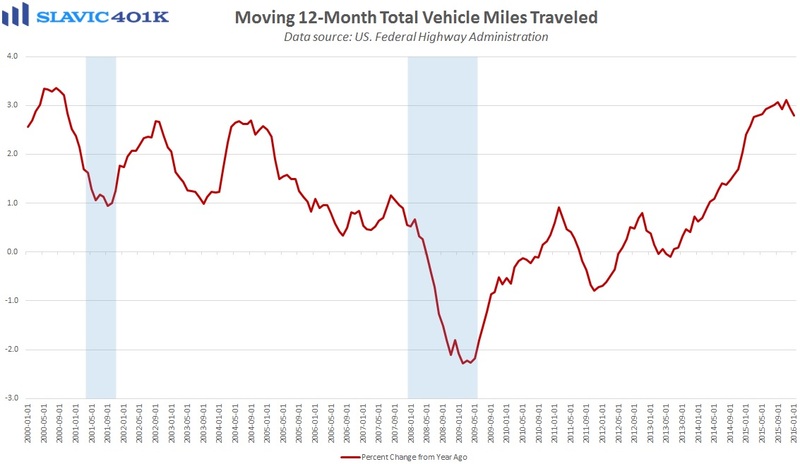 However, many economists doubt that this will result in a boost for retail sales because so far most Americans have responded to cheaper gasoline by simply driving more (second chart below).